Janice Benson talks about postcards that belonged to her grandparents that she played with as a small girl. She then reads some postcards from her Great Grandmother Bessie that Bessie sent to her family. 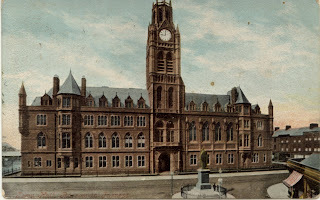 They are around 1904-1910 or so and Bessie was in service in one of the big houses on Abbey Road in Barrow-in-Furness. 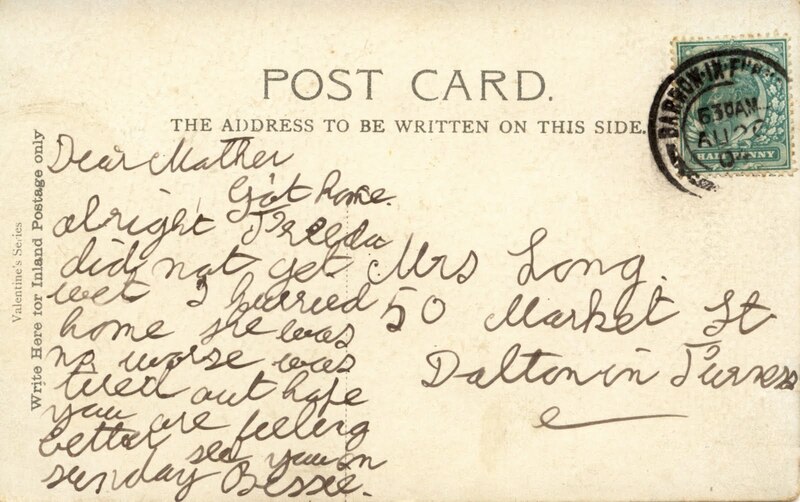 The thing that really stood out to us looking through the postcards is the way postcards were like the text messaging of their day. Simple unadorned messages from one person to another to get a small piece of information over leaving bigger stuff to letters/email. 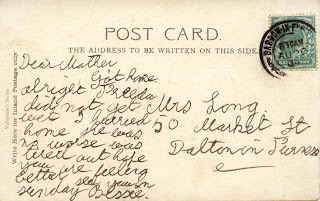 There's nothing earth shattering in any of the postcards just simple family communication, very similar to texts my family send to each other - 'you fancy pizza tonight', 'leaving now, back at five' type things. It was very interesting listening to this. I was imagining Bessie's journeys and realtionships with her family. Great sound art and well read by lovely Janice.